Orchid Island in Sector-51 Gurgaon, Gurgaon by Orchid Infrastructure Developers is a residential project. The size of the Floor is from 943.0 sq.ft.  to 2100.0 sq.ft. Orchid Island price ranges from 74.00 Lacs to 1.64 Cr. Bank loan approved from HDFC home loans, ICICI, Oriental Bank of Commerce, Punjab National Bank and Indiabulls. It is a ready to move project with possession offered in Jul, 2013. The project is spread over a total area of 11 acres of land. It has 50% of open space. The construction is of 2 floors. An accommodation of 1200 units has been provided. Orchid Island brochure is also available for easy reference. 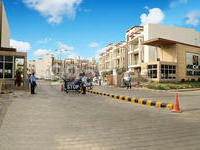 What is the project location?The project is located at Sector-51, Gurgaon. What is total size of Orchid Island?The project is built over an area of 11.0 Acres. Does Orchid Island have badminton court? Yes the project has badminton court. Does Orchid Island have gym? The project doesn't have a Gym. Does Orchid Island have car parking? Car parking is available in the project. Is Orchid Island approved from banks? Banks such as HDFC home loans, ICICI and 3 more have approved the project. Orchid Infrastructure is an emerging real estate company. The company is cultivating a culture of excellence which is visible in every of its residential as well as commercial projects. The company is rapidly climbing the charts of success, owing to its unflinching commitment of providing the best possible quality well within the promised timelines. d construction, whether it is for commercial or residential use. Each project developed by the company boasts of aesthetic architectural design, high efficiency and good environmental standards. Orchid envisions developing into a real estate major that can undertake the biggest of projects and execute them in the finest of the manners, setting new benchmarks of success. 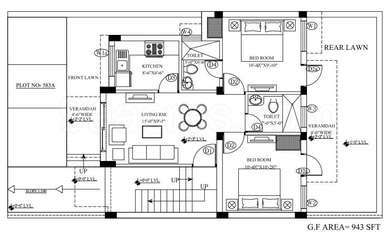 In how much price I can get a 3BHK apartment for rent in Orchid Island along with the maintenance charges? Is the area safe for end-use? Hi Sarthak, since it is a developed residential area in Gurgaon, a 3BHK in Orchid Island, sector 51 is going to cost you somewhere between Rs 30,000 to 35,000 per month depending on the availability of additional facilities in the apartments. Moreover, for the maintenance, an amount of Rs 3,200 is chargeable separately on a monthly basis apart from the rent. The security deposit will be 3-6 months rent which you have to pay in advance depending on the owner of the property. For rest of the details get in touch with property consultants or fix a site visit with the property owners through property portals like 99acres directly to get a rental unit in Orchid Island. Does Orchid Island have any senior citizen friendly amenities? How about the availability of healthcare and security facilities nearby?